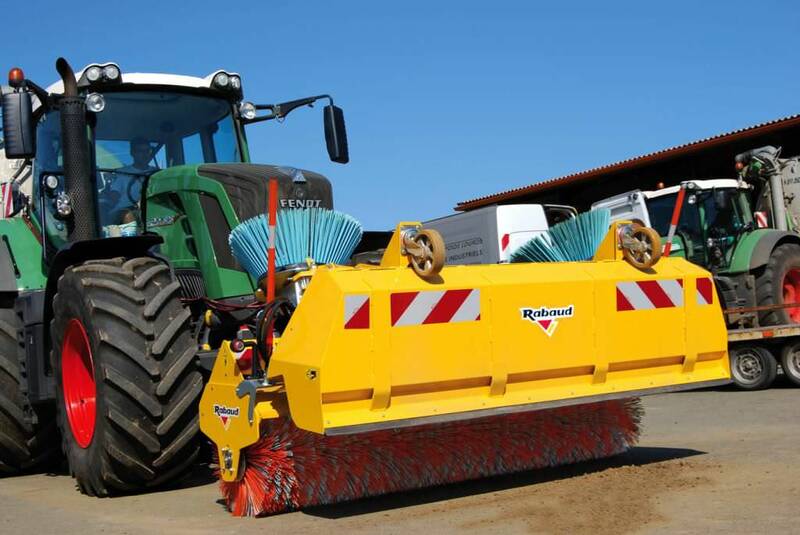 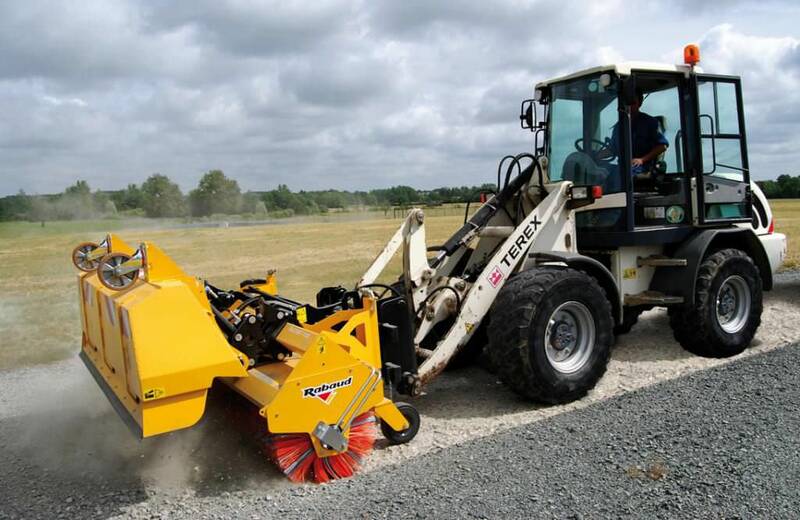 2 brush widths: 2.10m and 2.40m + side brush Ø 700mm right/left (option). 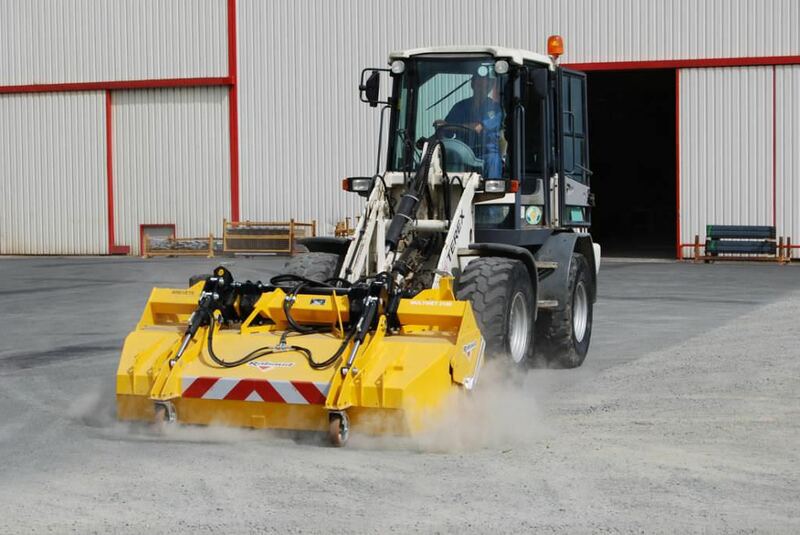 Many adaptations: on telescopic, backhoe loader, loader, tractor front 3-point linkage from 70hp up to 120hp, front loader. 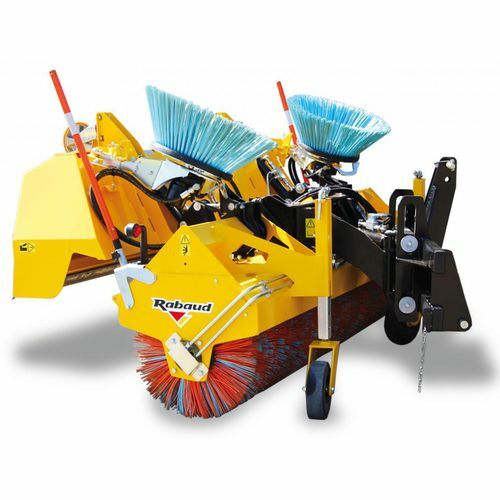 "2in1" function: collecting the trash (when the box is closed) or lining up the trash on the right or on the left (when the box is lifted). - Shutter of pre-collection with composite anti-wear multi bands. 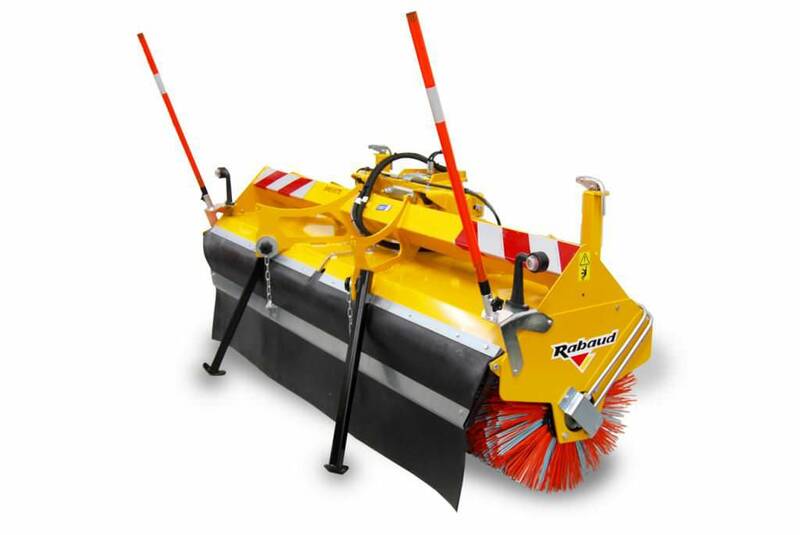 Angling (hydraulic in option) +/- 25° allowing to push away the trash on the rigth or on the left.